Peter Higgs opens up to Jim Al-Khalili, admitting that he failed to realise the full significance of the Higgs boson and a theory that later changed the face of physics. Peter Higgs opens up to Jim Al-Khalili, admitting that he failed to realise the full significance of the Higgs boson and to link it to the much celebrated Standard Model of Physics. An oversight he puts down to a string of missed opportunities, including one night at physics summer camp when, most regrettably, he went to bed early. 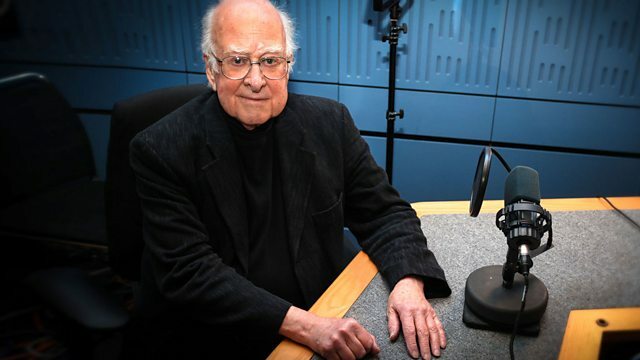 Working alone in Edinburgh in the sixties, Peter Higgs was considered 'a bit of a crank'. 'No-one wanted to work with me', he says. In 1964, he predicted the possible existence of a new kind of boson but, at the time, there was little interest in his boson. And in the years that followed, Peter Higgs says, he was 'looking in the wrong place for the application'. Physics, which brings together three of the four fundamental forces of nature and has dominated physics ever since. Higgs met one of the key architects of the Standard Model several times, but they failed to realise they were working on the same thing. He particularly regrets one night at physics summer camp when he decided to go to bed early. The others meantime stayed up all night working up The Standard Model. The seventies was an exciting time for particle physics but Higgs says he 'struggled to keep up'. His PhD was in a different field and he says he 'lacked technical competency'. He says work pressure contributed to the breakdown of his marriage and that perhaps he suffered a personality change in the mid-sixties when he realised his research might be on to something good and started working harder. Four decades and several billion pounds on, scientists at the Large Hadron Collider at CERN confirmed that the Higgs boson had indeed been found and Peter Higgs shot to fame. This ephemeral speck of elusive energy is now so well-known it's featured in car adverts and countless jokes. There's even song by Nick Cave called the Higgs Boson Blues. But Higgs has always called it the 'scalar boson' and remains embarrassed that it is named after only him. Three different research groups, working independently, published very similar papers in 1964 describing what's now known as the Higgs mechanism. And Higgs remains surprised that another British physicist, Tom Kibble from Imperial College, London didn't share the 2013 Nobel Prize for Physics along with him and Belgian physicist, Francois Englert. "[Kibble] wrote a longer paper which was really very important in generalising the sort of thing I had written in '64 ", says Higgs. Peter Higgs found physics boring, as it was taught at school. He was going to be an engineer, like his father, but was clumsy in the lab and, he says, became a theoretical physicist 'by default'. When the 2013 Nobel Prize winners were announced, many assumed Higgs was blissfully unaware that he might win or just not that interested. In fact, he left the house quite deliberately that morning fully expecting the Nobel Committee to call. These days, he's constantly stopped in the street and asked for autographs and photographs which, he says, is 'nice but a bit of a nuisance'. A collection of programmes relating to the Higgs boson. A collection of Radio 4 programmes featuring previous Nobel Prize winners.